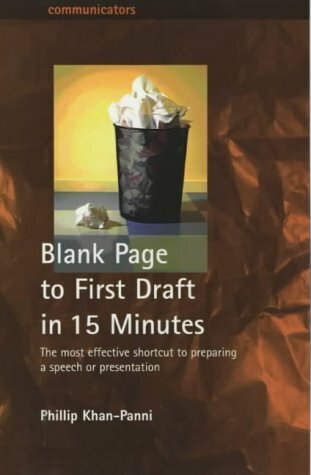 This guide contains techniques, checklists, and effective planning for speech writing and presentation preparation. It provides guidance on structure and equips the reader for impromptu speaking engagements or question and answer sessions. Phillip Khan-Panni is an acclaimed speaker, trainer and toastmaster. He runs his own communications consultancy and is a founding director of the Professional Speakers Association and a member of the Chartered Institute of Marketing. He is the author of 2-4-6-8 How Do You Communicate? publishing in June 2001 for How To Books in the Communicators series. Phillip lives in Bromley, Kent.